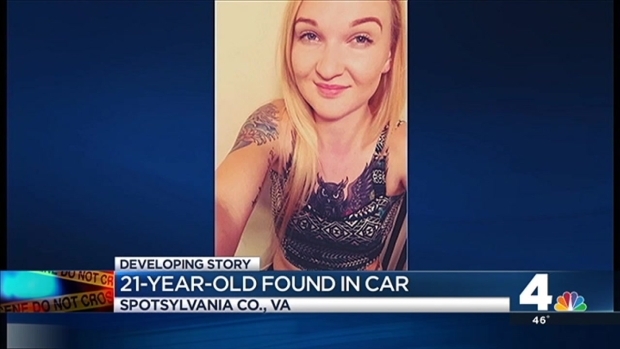 A 21-year-old woman was found dead in her car in Spotsylvania County, Virginia Sunday night and police say she was murdered. Heather Ciccone, of Spotsylvania, was discovered in the driveway of a home on the 10300 block of Piney Branch Road, a Spotsylvania County Sheriff's Office representative said. Ciccone had severe trauma to the upper body and was pronounced dead at the scene. She had been shot, police said Tuesday in an update. "Why would you take my little girl away from me?" Ciccone's mother, Stacy Ciccone, asked on Tuesday. News4's Shomari Stone reports on a homicide investigation. 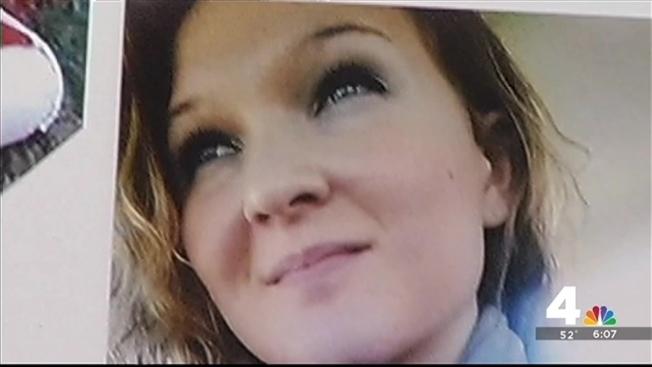 Heather Ciccone, 21, was found dead in her car in Spotsylvania County. Ciccone -- who family and friends called Boo Boo, using a childhood nickname -- told her mother Sunday night that a friend's car broke down. She left the house about 9:30 p.m. and said she would be back. But she never returned. "I said 'I love you,' and she goes, 'I love you too, Mom,'" Stacy Ciccone said. A resident of the home close to where Ciccone's car was parked called police about 11 p.m. Ciccone was found inside and pronounced dead. Investigators knocked on her family's door about 2 a.m.
"It's hard to put in perspective until it really happens to you," Ciccone's father, Dennis Ciccone said. Ciccone was energetic and full of life, her parents said. "She was a good girl, athletic, bubbly, did everything for everybody," her mother said. She worked as a waitress at a Red Robin restaurant in Fredericksburg, coworkers said.Her sister told WTVR TV in Richmond that the former Chancellor High School student had recently received death threats. Investigators have not identified a motive or suspect. "We've gotten lots of tips and we've got several leads that we're following," Capt. Jeff Pearce said. "We have a team that's doing nothing but checking into her personal life." Ciccone's father vowed her killer would be found. "One way or the other, we're going to catch them," he said. "It might not be tomorrow. It might not be the next day." Anyone with information is asked to call police at 1-800-928-5822 or 540-582-5822, or visit www.spotsylvaniacrimesolvers.org.